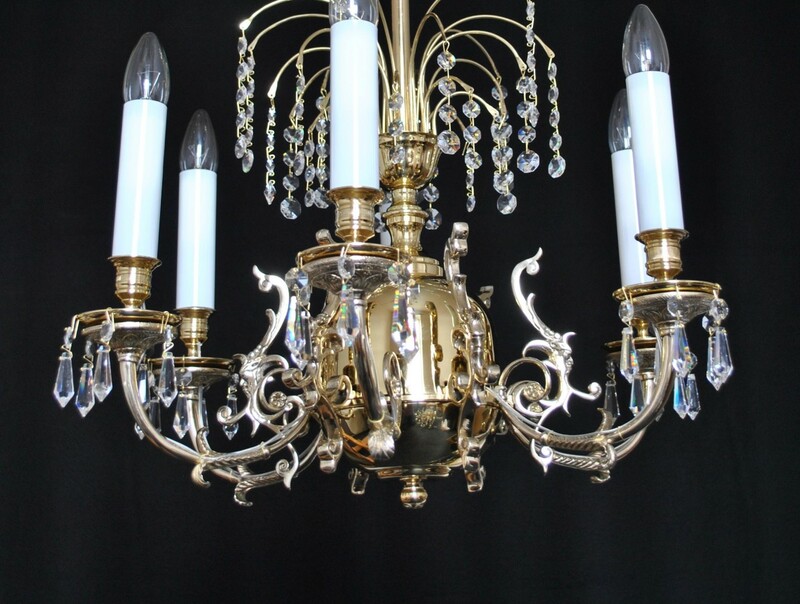 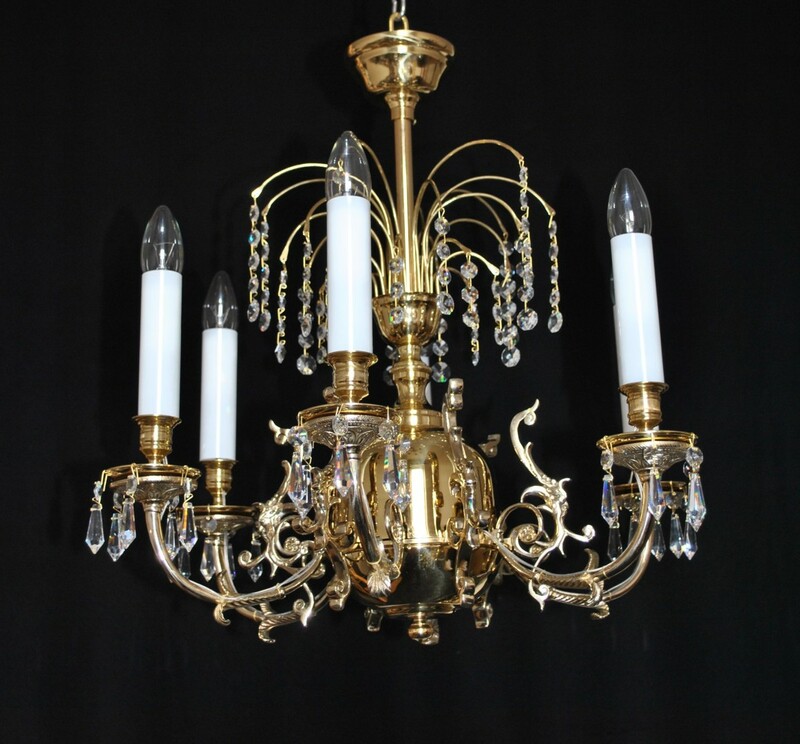 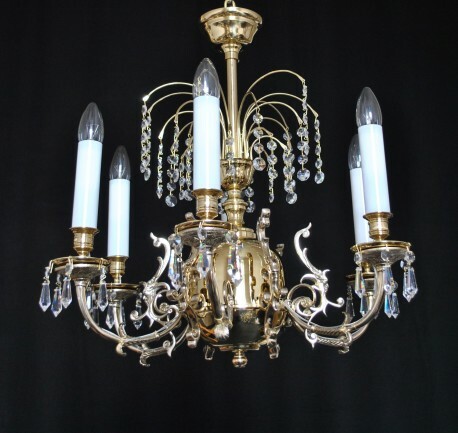 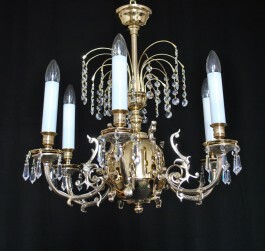 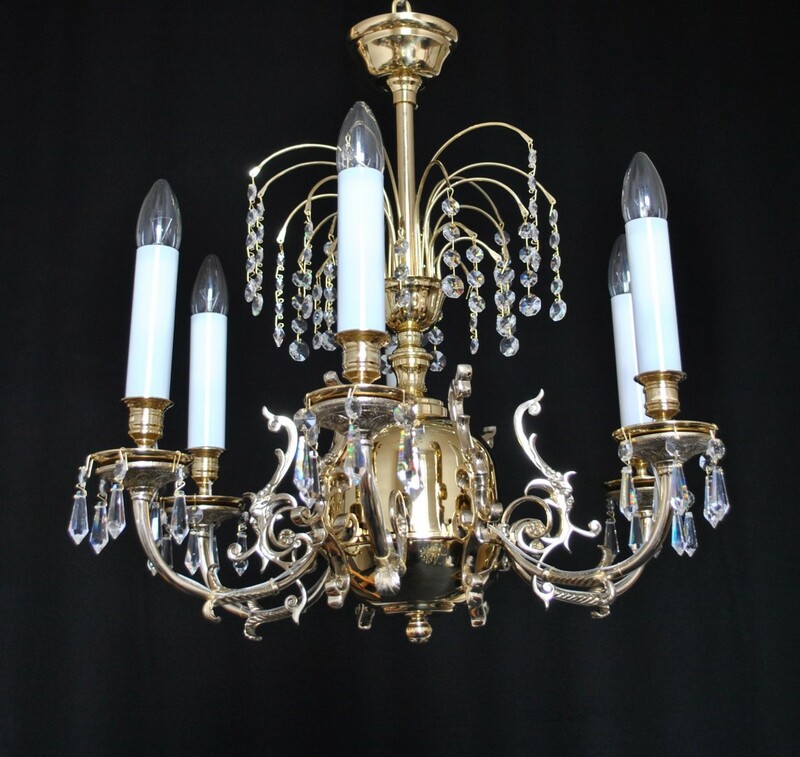 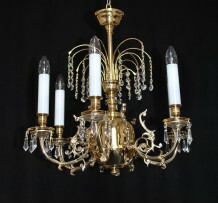 The stylish 6 arms chandelier made of pressed brass. 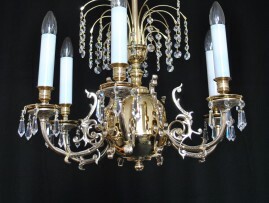 Combination of gold brass & silver nickel plated metal parts. 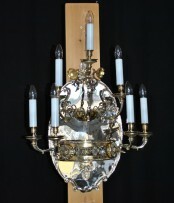 Combination of gold brass and silver nickel plated metal parts. 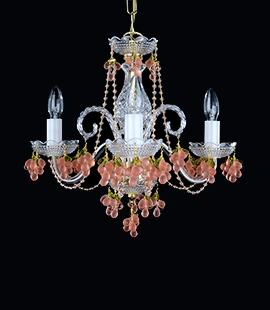 Small Strass crystal drops and crystal chains. 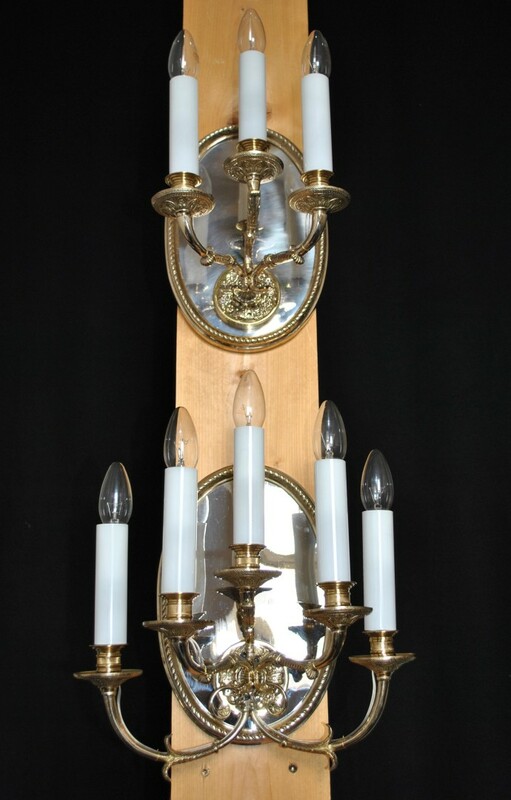 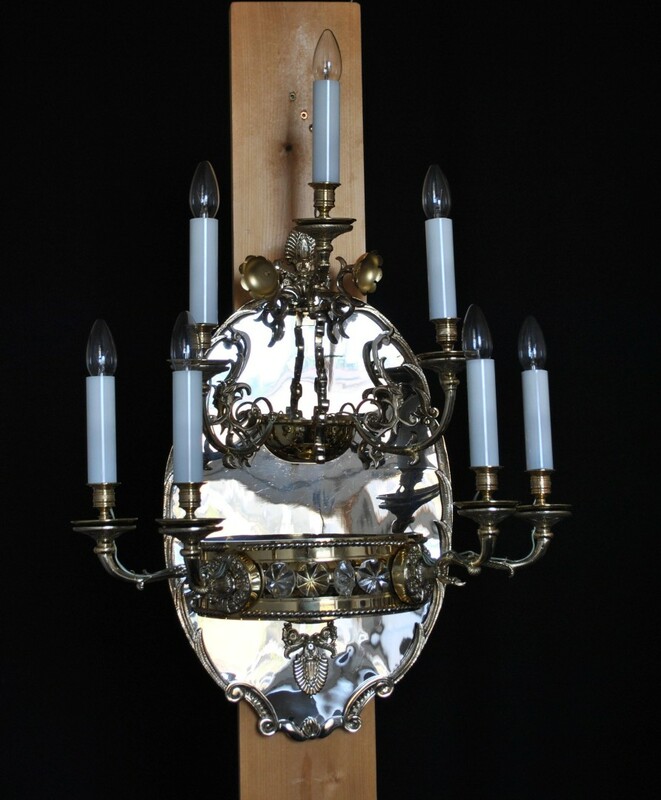 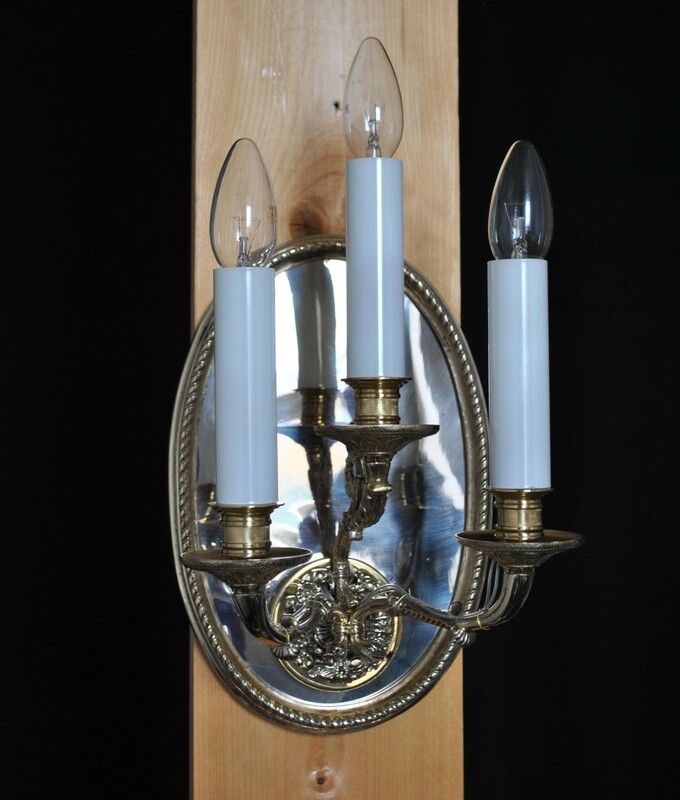 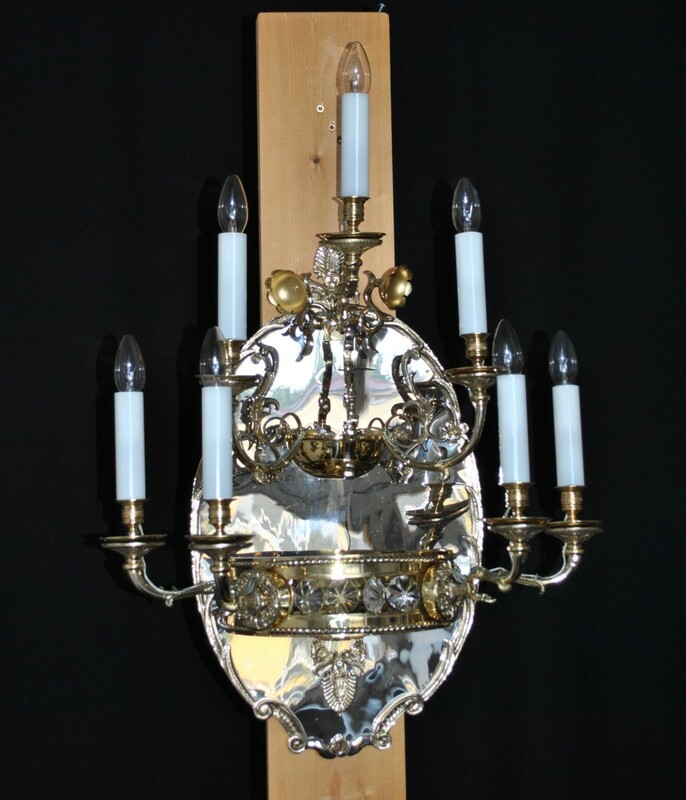 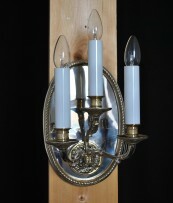 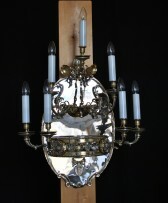 Design wall lights 3, 5, 7 metal arms, candle bulbs E14, 40 Watts.